ZiwiPeak have created a single-protein option for cats with protein allergies or sensitivities. Ziwi Beef is sourced only from local New Zealand farms, ensuring the animals are free-ranging, grass-fed and finished. Ziwipeak Canned Cat Food Is 100% Natural Formulated With 93% Real Meat, Organs And Seafood. 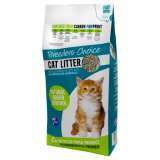 It Does Not Contain Any Fillers Rice, Potatoes Or Grains, And Has No Bpa, Tspp Or Carrageenan. This product has been discontinued by the manufacturer. You may like to view the Cat Food. See below ZiwiPeak ‘Good-Cat’ Lamb & Liver Treats contain 100% natural, fresh, raw meat, just air-dried for convenience. ZiwiPeak have created a single-protein option for cats with protein allergies or sensitivities. Ziwi Lamb is sourced only from local New Zealand farms, ensuring the animals are free-ranging, grass-fed and finished. ZiwiPeak’s ‘Daily-Cat’ Air-Dried Venison & Fish Cuisine is a raw equivalent, premium dry cat food made from real ‘MEAT’. Combining the best of New Zealand ingredients, our Venison and Fish formulation features the highest quality hoki-fish protein sourced from New Zealand’s clean ocean waters. 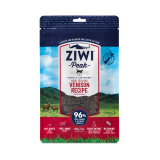 Ziwi Peak Moist Beef For Cats is a single-protein option for cats with protein allergies or sensitivities. Ziwi Beef is sourced only from local New Zealand farms, ensuring the animals are free-ranging, grass-fed and finished. Ziwi Peak Moist Lamb For Cats is a single-protein option for cats with protein allergies or sensitivities. 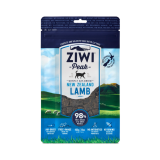 Ziwi Lamb is sourced only from local New Zealand farms, ensuring the animals are free-ranging, grass-fed and finished.